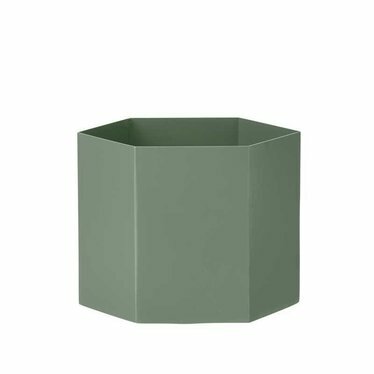 The Hexagon Pot is a metal flowerpot in the beautiful color dusty green. 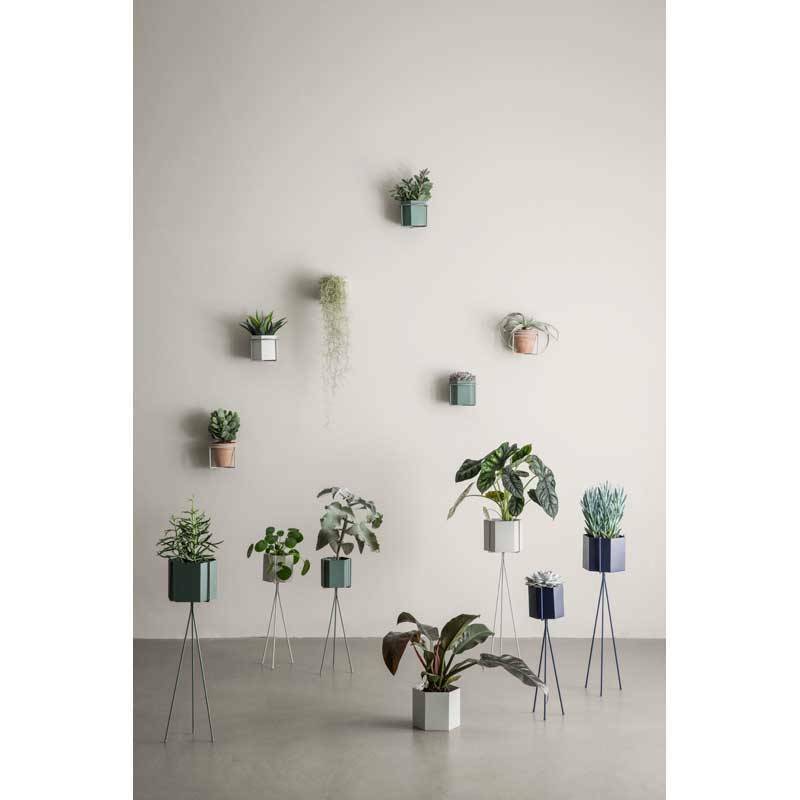 This XL size fits into the large plant standard of Ferm Living. 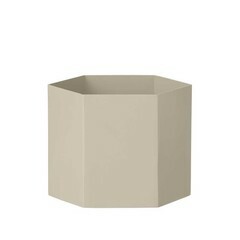 18 cm wide - 16 cm high. 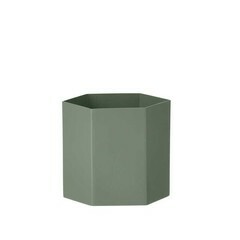 The Hexagon Pot from Ferm Living is mostly used as a flowerpot but is actually multi-purpose. 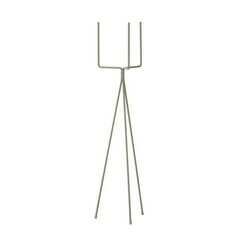 This is the largest, the Extra Large, and fits perfectly in the large plant stand (65 cm) of Ferm Living.